Not my best photo, but it was a truly incredible sight to see 3 spitfire mk1s, a blenheim and 5 hurricanes fly together at legends. 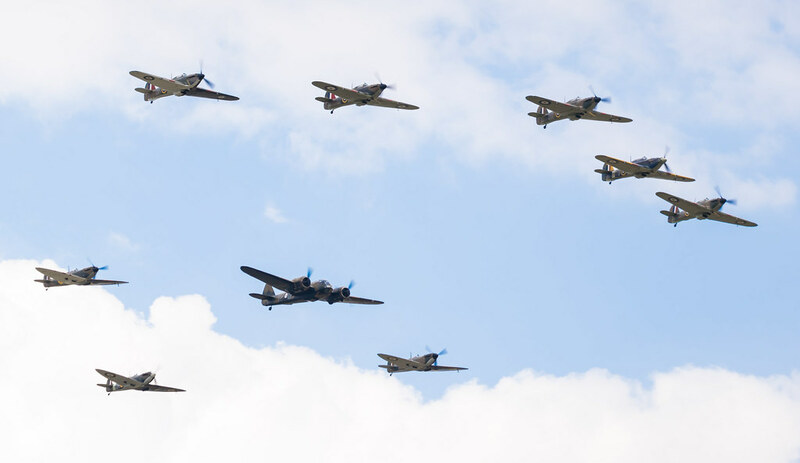 The finale formation at the Duxford september show was also amazing but the weather was a bit grim and i had to leave early so i didn't get any photos. Probably this one from me. 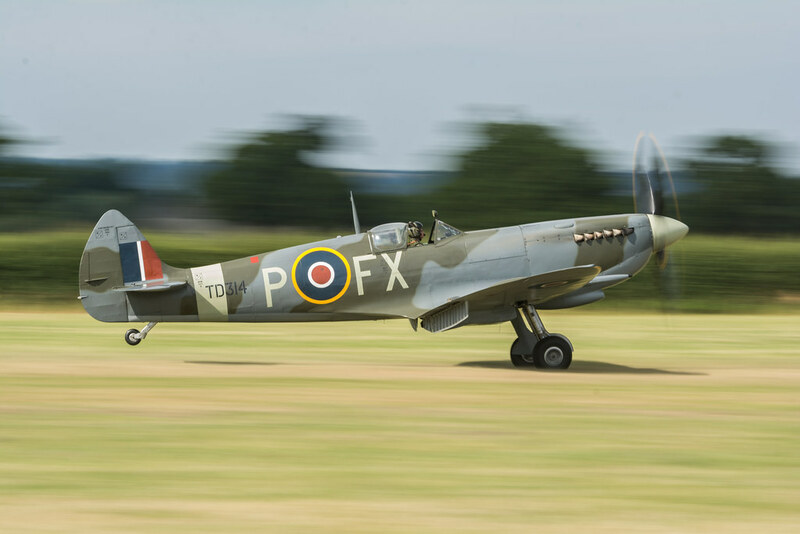 I've always loved slow shutter speed photos and the sense of speed they bring to an image, but it's not something I've had a lot of chances to do with regard to aviation photos. 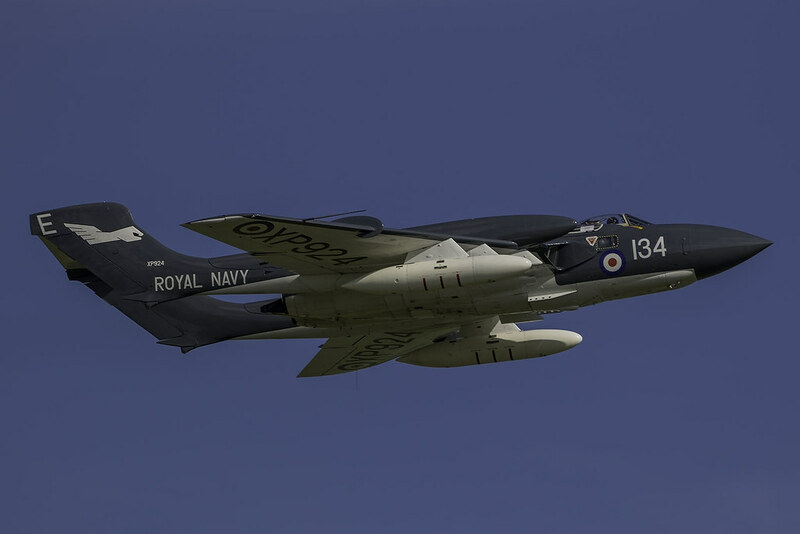 The Sea Vixen on the Saturday at Duxford. 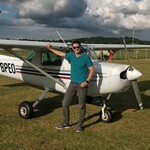 Not a particularly artistic effort but I was pleased with it, great aircraft in beautiful weather. Outstanding stuff posted, everyone. Really enjoy looking at the diverse stuff on offer. I feel like 2017 was (for me) a bounce-back after a pretty, I don't know, "unsettled" for want of a better word, season in 2016, be it weather, or CAA-related or whatever else. This is easily my favourite of the year. 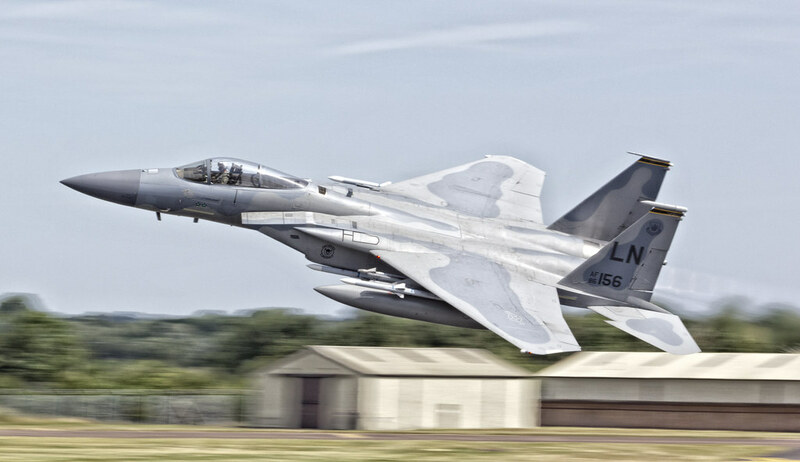 I know I'm wheeling it out at every opportunity at the moment, but it's emblematic of the amazing display, a gorgeous machine, and just generally a really really good day at Yeovilton. It's just one of those images I enjoy sitting back and just looking at (I know #humblebrag). Photographically a pure fluke, and very little skill involved over chance, buuuuuuut I'll take it. Can't say I had too many outings in 2017. From the start of 2017 came my favourite of the year. 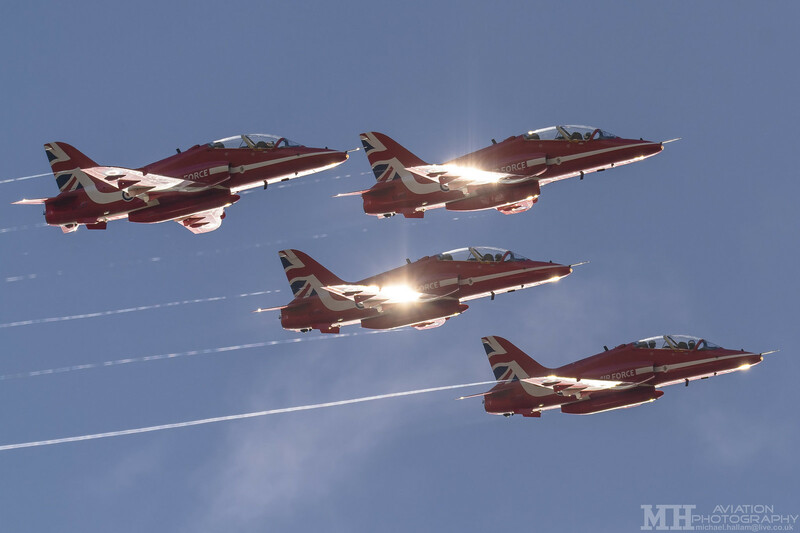 First outting up to Scampton to catch the Reds winter training, under some stunning blue skies and great winter light. 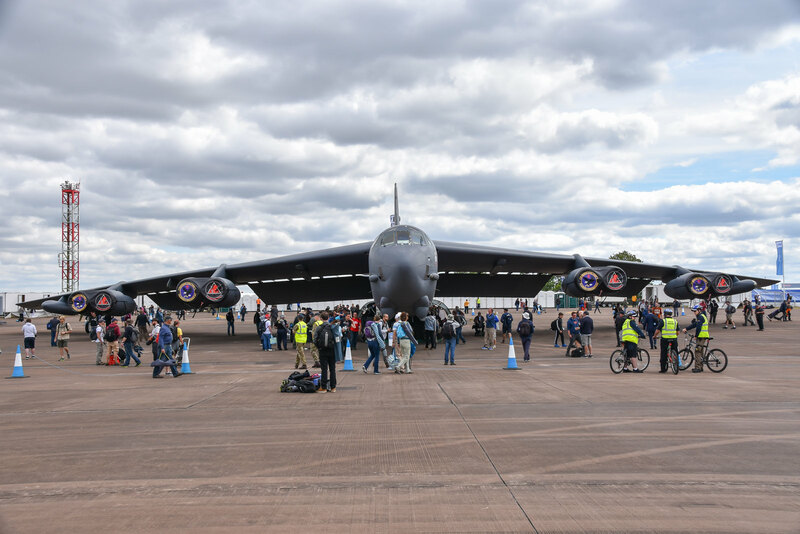 For me this one taken in the RIAT 2017 (Friday) with the mighty B-52 as one of the concentrators of attention. 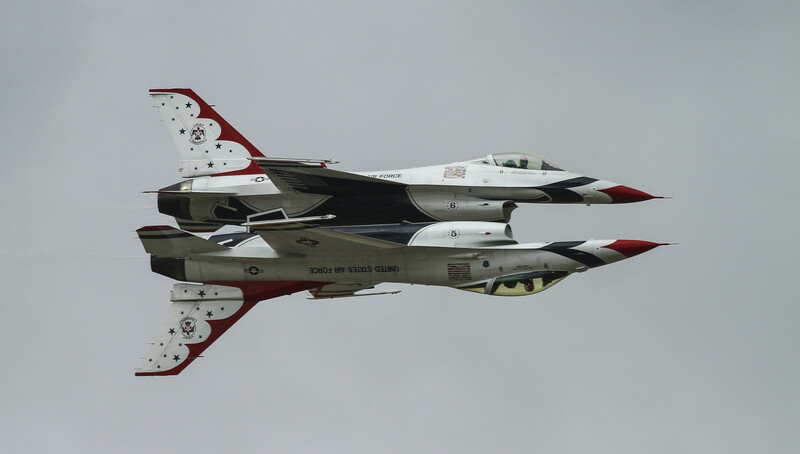 So many people around and under it, the aircraft looks like an all protecting mother bird. 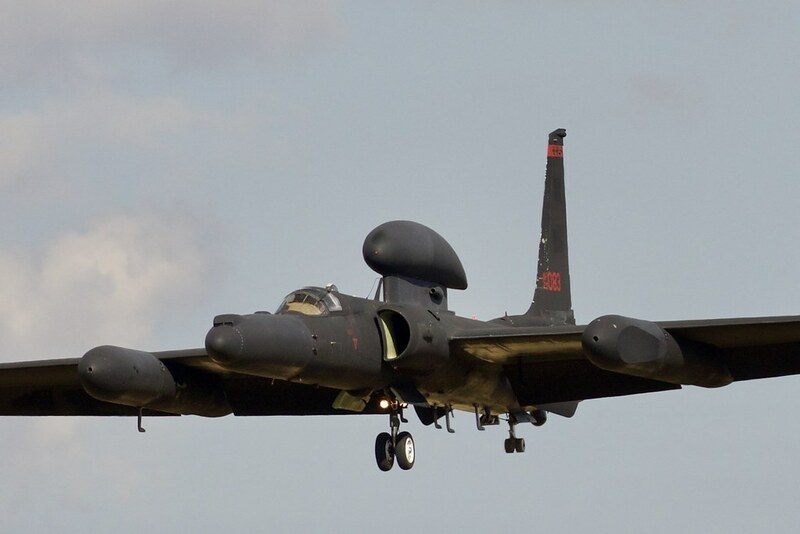 Manufactured in 1960 (this specific example) when many of the participants were not even born... and planned to fly until 2040 the B-52 is a symbol of defence and protection. 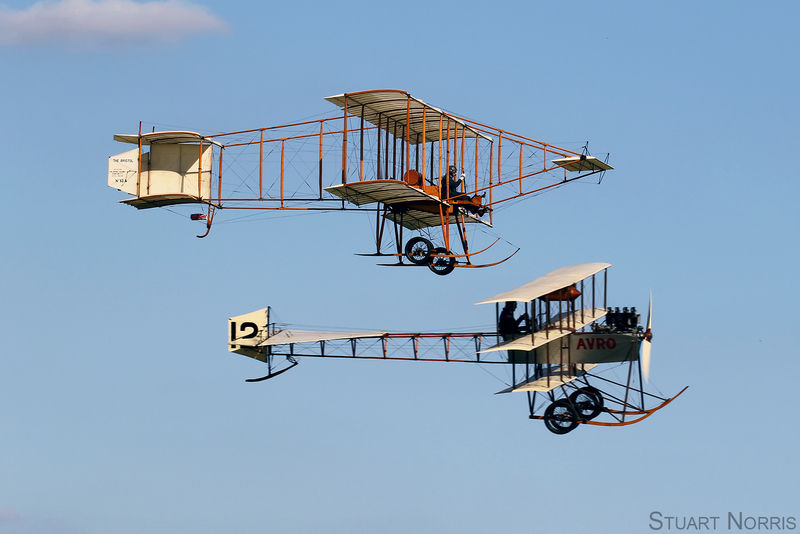 The picture for me is one symbol of why aviation is so great and attracts a specific kind of passion. Had trouble picking just one but realistically it had to be this one from my flight over AMARG, something I never thought I'd get to do. Out of the many I took last year, I liked this one. Taken at Southport in September, it was my first dusk/night show and without any real idea of what settings were best, I blasted away. This ended up at ISO800, F/8 at 1/800sec at 600mm. 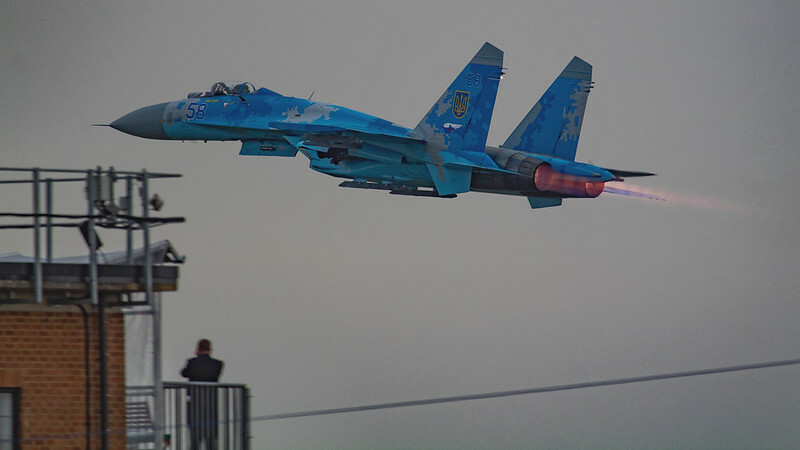 Well for me its this shot of the SU-27 at RIAT on the Sunday. A week of pure enjoyment that I don't think I appreciated enough at the time. 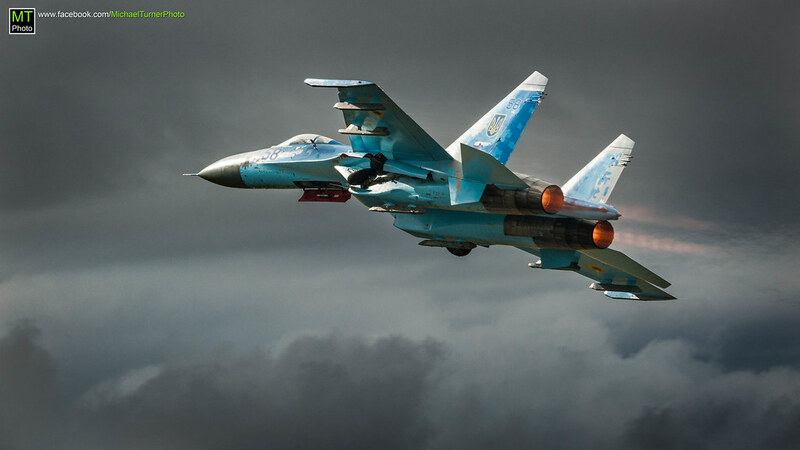 Having nearly given up for the day with the weather, I willed myself to stay to see the Flanker, and I am so glad that I did. 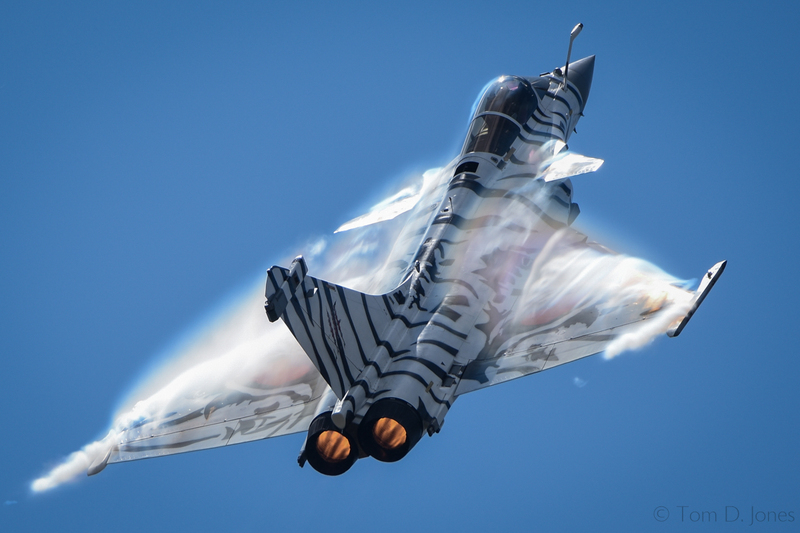 One of my all time favourite aviation moments I have experienced, and one that I am incredibly pleased that I got some decent photos of it. 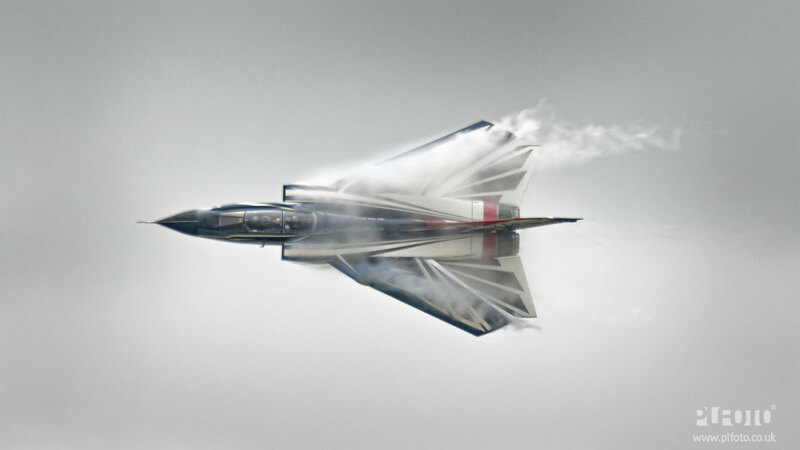 I know that this particular aircraft has already come up but it is by far my favorite photo of the year. As the heavens opened and everyone ran, I almost lost hope to capture the very aircraft that I had been waiting all day for. But wow, the rain stopped and the sun came out, just in time. 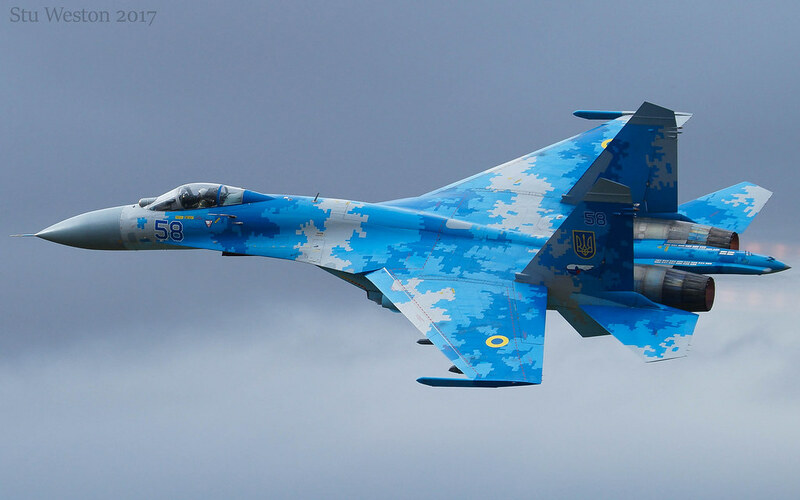 The dark clouds make the Su-27 pop with the sunlight shining on it. 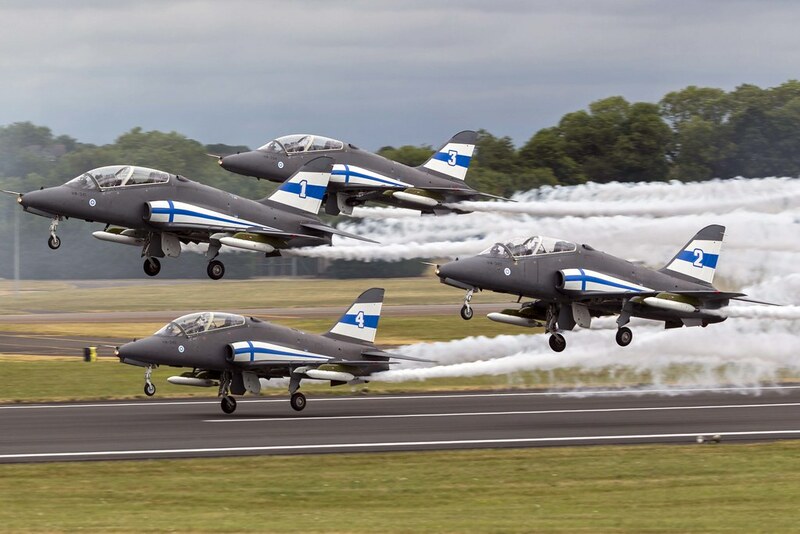 I've always loved the EAP since seeing it at Farnborough as a teenager, so I was really pleased when it was announced that it would be out for the static display at Cosford and it was my main reason for attending. On the day much patience and several visits to the far end of the airfield were required to get a shot of it in some nice light. It felt like quite a mission so I was really pleased to come away with this shot. 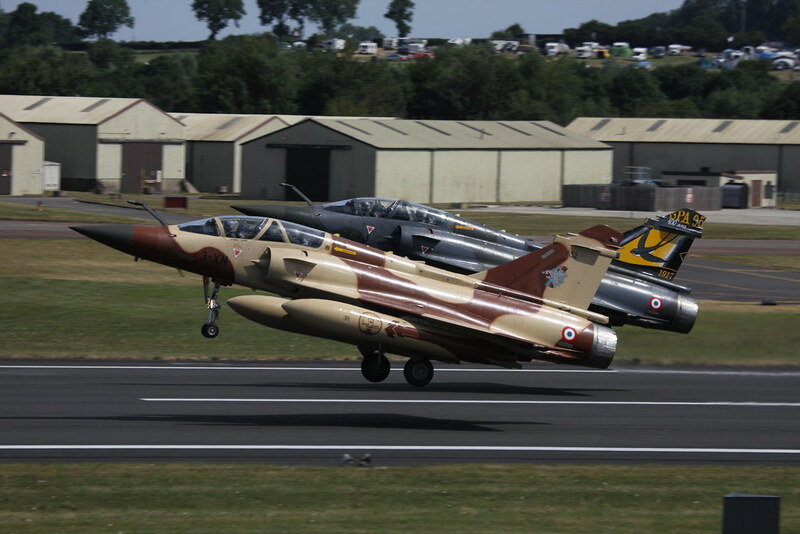 I was going to post the Phantom departing Fairford as I can't recall the last time I saw one flying. 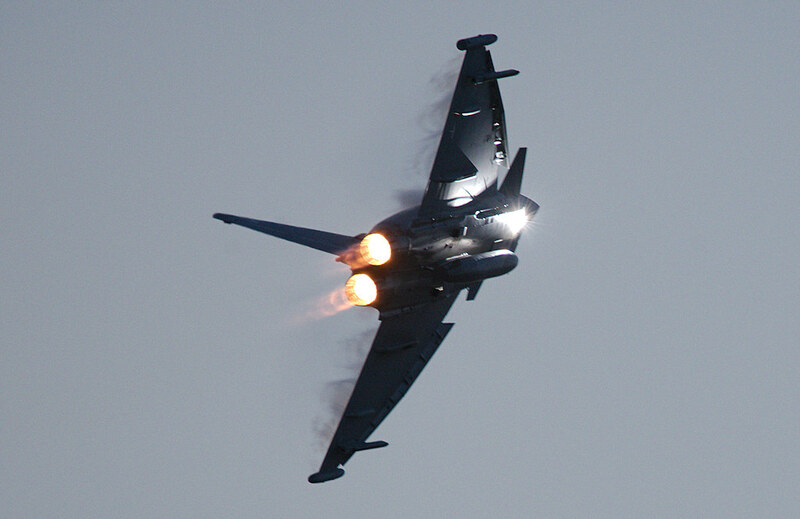 However I prefer this image, great display too! The Phantom night shot on page one is really cracking!! 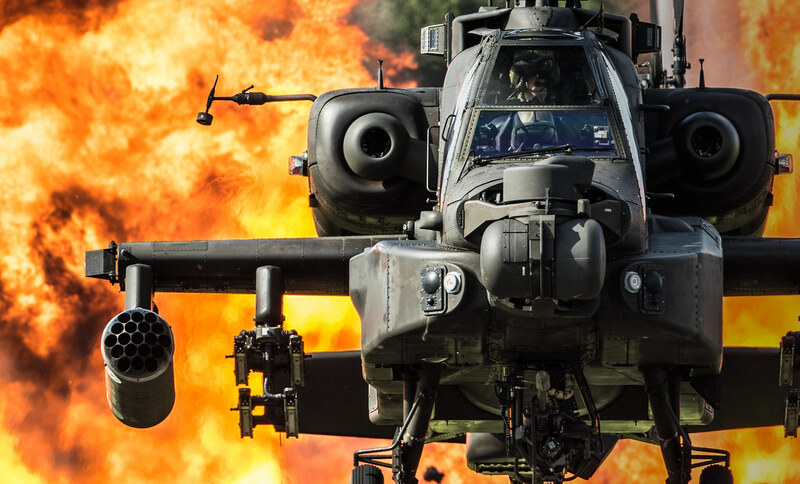 And the close up Apache wall of fire shot....WOW!!! I had lots of highlights this year, but have to pick just one, just like everyone else. So I also pick a shot of the Apache display team, as this really made my day at the RIAT. One of those 'flukey' shots. 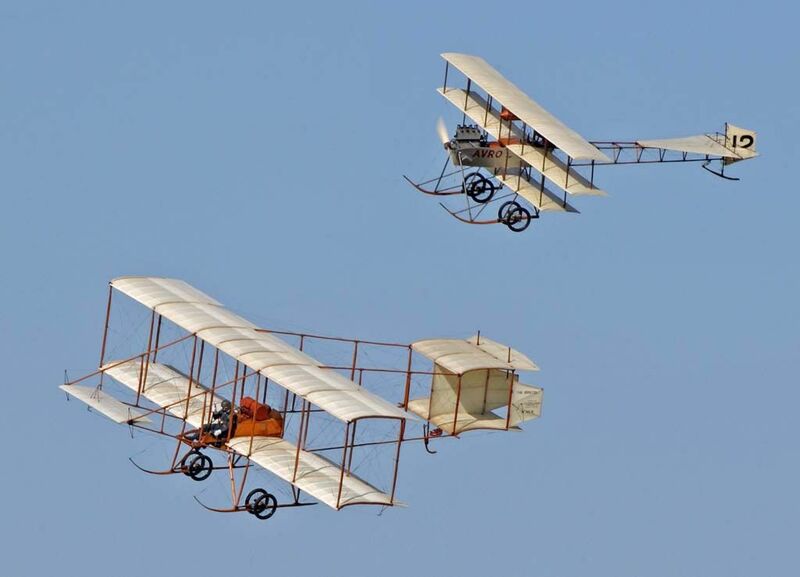 Two of the Edwardians in the same piece of bright blue sky during the Military Pageant. "Negative. the pattern is full"